The Spontaneous Muscle Release Technique Full Body Set gives you full access to the SMRT massage continuing education series at a 25% discount. Spontaneous Muscle Release Technique (SMRT) is a series of passive contractions that allow therapists to release muscles, tendons, ligaments, and connective tissue quickly, easily, and with little pain to you or the client. If you would like, it is possible to swap out the basic Head & Neck course for the Head and Neck with Cranial Sacral Therapy course. You may also opt to get the textbooks that accompany each course if you like to have a printed reference at a 67% discount! Before you purchase a course for continuing education please review the requirements for your state. You may purchase this set with or without CE credit. If you purchase the full body set with CE credit, you will be required to take a multiple choice exam for each video. Here at Full Circle we understand that massage therapists do not need 34 to 37 CE’s in any renewal period, so the date on your certificate for CE credit will be the date you pass the exam. 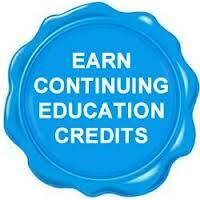 This means that you can take 1 or 2 test per renewal period and receive your CE credit when you need it. NOTE: Books are required for CE CREDIT — Digital Downloads are processed by another website. If you’d like to purchase the textbooks with your digital downloads, please purchase them first through this website and then after completing the transaction return to this page and select your digital download bundle.